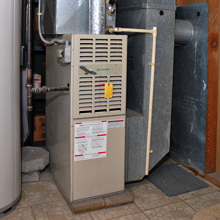 If your home’s heating system has stopped working, turn to the team at Bruce Jones Air Conditioning to have it fixed. 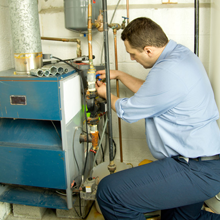 We’re factory-trained and have experience with all types of heating systems. Call us today to schedule a service call to your home. If your heater dies in the middle of the winter, you’ll want to get it fixed immediately. Our team guarantees service within 24 hours of your call, so that you’re not left out in the cold for an extended period of time. If you need assistance with your heater, make us your first call. We’ll be there shortly – guaranteed. As one of our customers, you can expect fair prices and great service from us. In fact, part of our commitment to our customers is offering a discount on heating and cooling service for senior citizens. If you’d like to learn more about our senior citizen discount, please give us a call.